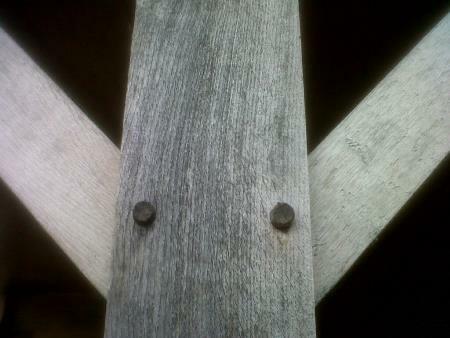 John Price has been a carpenter and joiner for nearly 40 years, he has found himself working all over the world including New York city, Scottish Highland Castles and Windsor Castle. John would like to pass on his knowledge and skill in specially designed courses in his new woodland workshop set in beautiful Mid Wales. 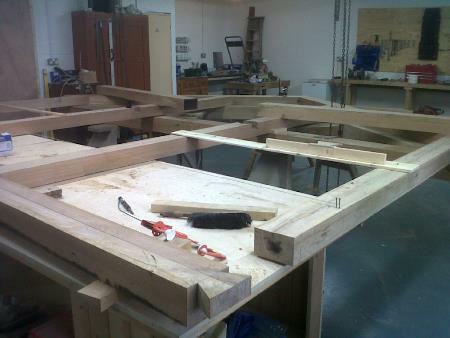 Courses are for everyone from complete beginner to the more experienced, covering principles of basic woodwork, oak framing and carpentry. 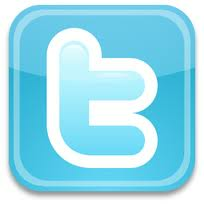 Corporate events are also available by arrangement. Green oak timber framing is an ancient building technique using sections of green oak to produce a structure or frame that is used as the basis of a building. Pegged joints are used to hold the structure together that when it dries out and tighten the joint and make it very strong. 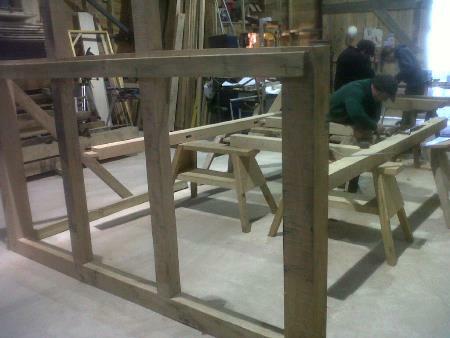 During the five days you will learn the principles of green oak construction. 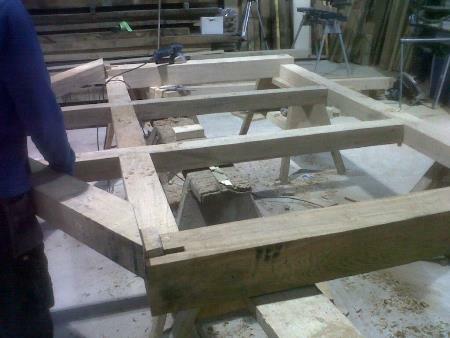 This will include the basic joints used in green oak construction. The course will culminate in the assembly of a small structure that will be constructed throughout the course plus a piece of work to take home made by your very own hands. We would encourage anyone to come along and have a go, our courses are designed to be accessible to everyone. 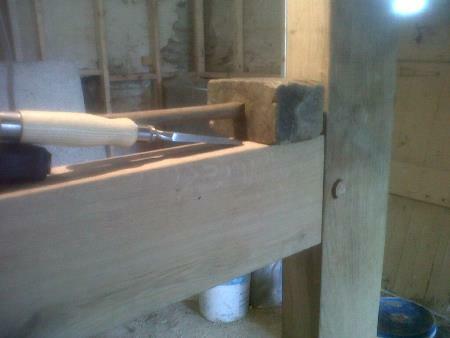 Even if you have never picked up a piece of wood before you will be able to take part in and enjoy our courses. Lunch and tools are provided but bring some good sturdy footwear. To book a place or need more information please contact us. 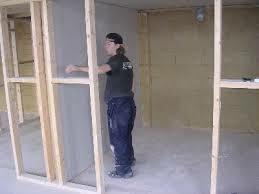 This course is designed to help you set out and build a timber stud wall with window and door openings. 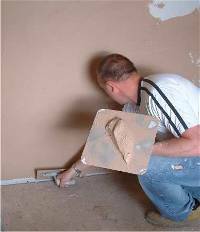 After the course you will also be able to fit a door lining, hang a door, fix and skim plasterboard and to finish learn the cutting and fitting of skirting and architrave. 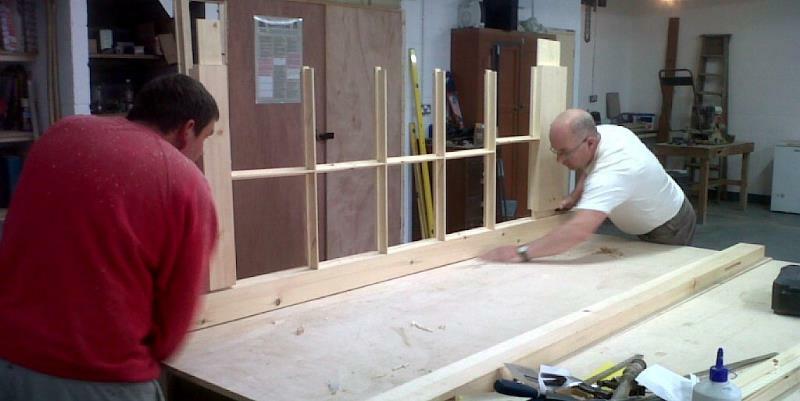 During the three days you will learn the basics of 1st and 2nd fixed carpentry plus finish plastering. 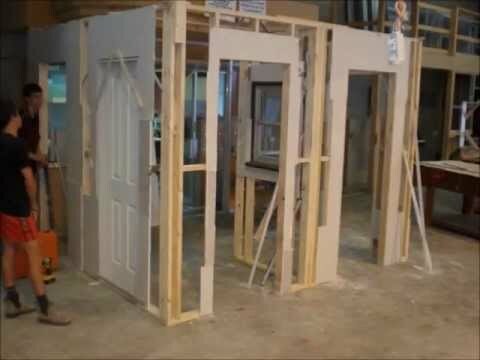 You will learn how to build and erect a stud wall, hang a door and fix a window, fix on plaster board with skim finish plus fix skirting and architraves. These skills could be put to use in your own home alterations or your own build project. 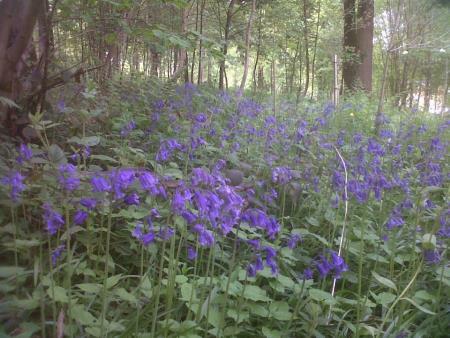 Come and spend 5 days in the wood learning traditional woodland crafts. You will be instructed and taught many different skills which you can put to good use and make your own woodland craft to take home. All the classes are set outside in the woods, under cover if needed. 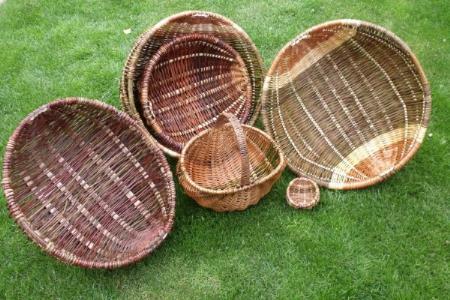 During the three days you will learn the basics of willow craft and then have a go yourself. You will learn Basic woodland management and coppicing culminating in making your own walking stick. Watch and take part in traditional wood turning. 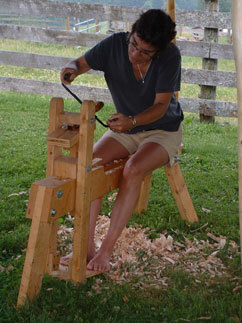 Learn basic bush craft and wood carving by professional instructors.